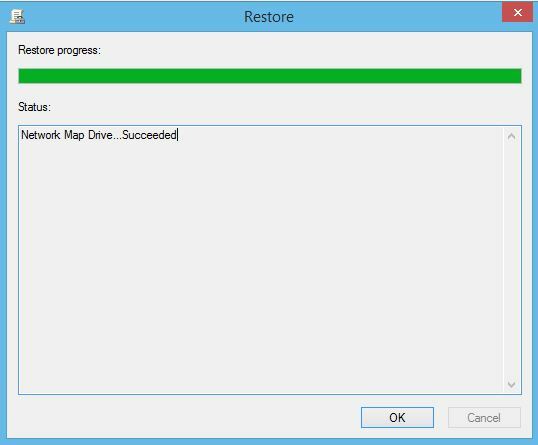 How to Backup/Restore Group Policy Object in Windows Server 2016? 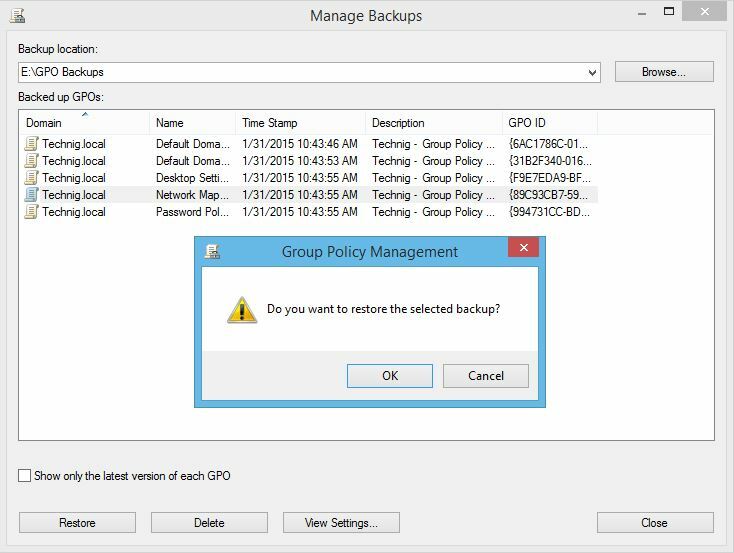 Here you just learn about backup and restore Group Policy Object in Windows Server 2016. This method works the same for other Windows server as well. 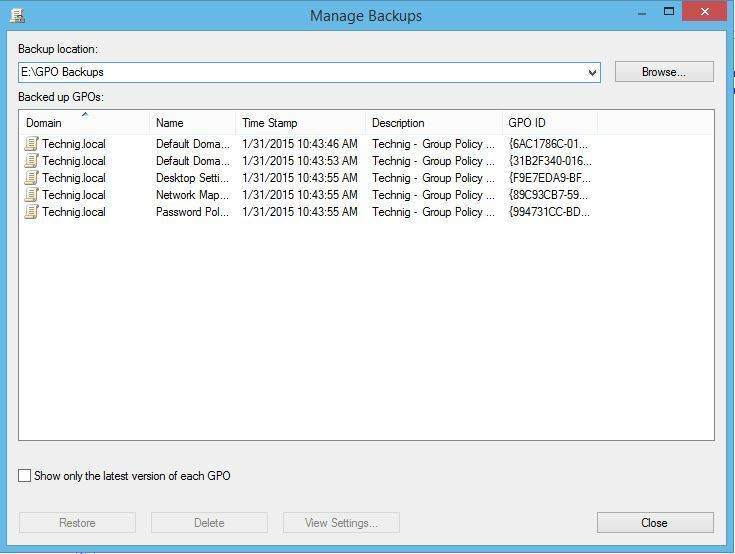 Group policy objects backup will helps you protect GPOs configuration. It is easy to create and edit group policy object from Group Policy Management on Windows Server. But takes to much time to completely configure the settings of each GPOs. Having a backup save you time and effort to reconfigure settings of a new GPO. To back up the created GPO in Windows Server, navigate to Group Policy Management console from server dashboard or type ‘gpmc.msc‘ in windows run and then press enter to open the Group Policy Management Console. Type “gpmc.msc” on run and press enter to open the group policy management console. Expand the domain and your domain name. Now, expand the Group Policy Objects to see all GPOs created by you. 4. In Group Policy Management expand the domain name and group policy objects in order to see all created objects. 5. 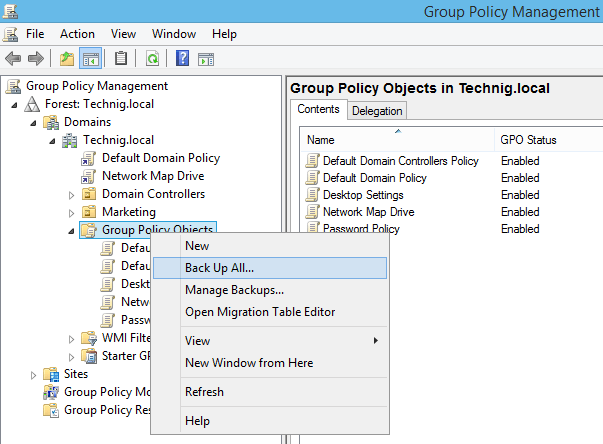 To create a backup from all GOPs, right-click the Group Policy Objects and click Back up all. Remember, this will backup all modified and non-modified GPOs which you have created for the domain. The other configuration like linked objects, Enforced, and Block Inheritance to domain organizational units will not back up. The full configuration back up just done a full system back up with Windows backup services. 6. Now in Back Up Group Policy Object page, click Browse and choose wherever to want to save backups and type some description in the description box, then click Back Up button. 7. 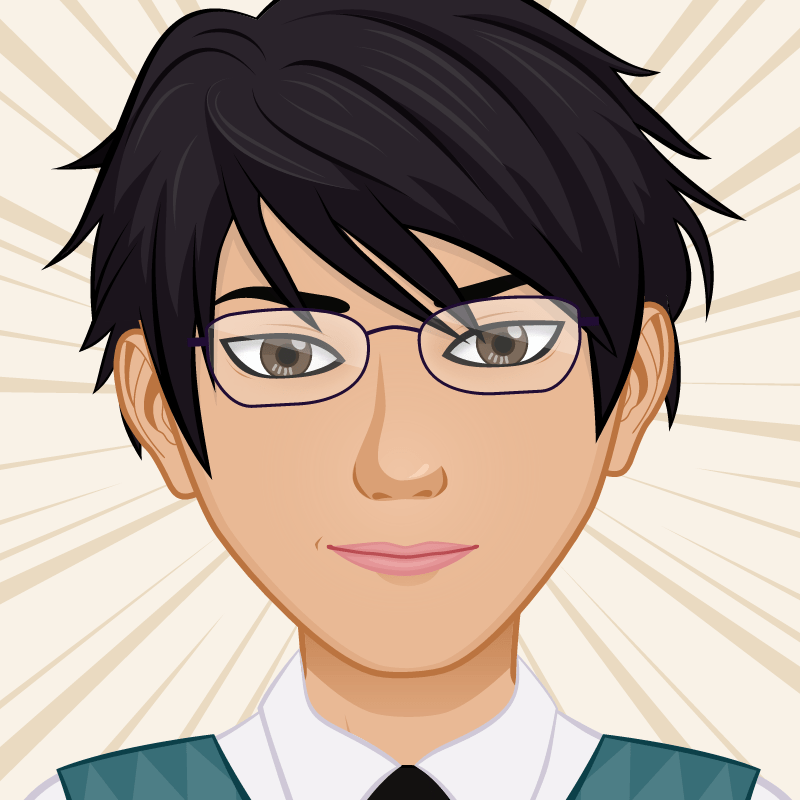 Good, the backup task was accomplished successfully. Let’s check how do we can restore the deleted GPO from backup data. 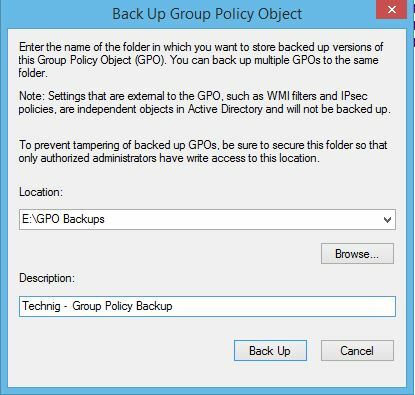 To restore GPO, right-click the Group Policy Objects and click Manage Backups. In the Manage Backups page brows to the backup directory or location on the hard disk. Click OK, if ask you ‘Do you want to restore the selected backup? 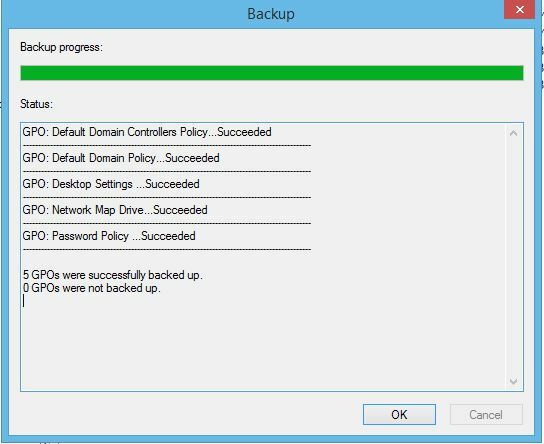 and selected backup will restore the Group Policy Objects. Hope this helps you solve the backup and restore of group policy object on Windows server. If you have any issue, just write us in the comment box.